Candy Crush board game original. Me and the others got this cool Candy Crush Saga Monopoly boardgame at work. I haven’t played it yet because I wonder if I should keep it sealed? There isn’t many copies of this, I think. 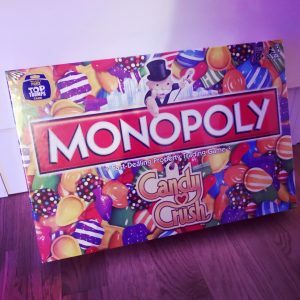 It’s fun because the game Candy Crush was originally inspired by board games! Five Years Anniversary for Candy Crush Saga! Wow! The game has been going on for 5 years and people still plays on! It’s cool that I have been working on the game since 2015. 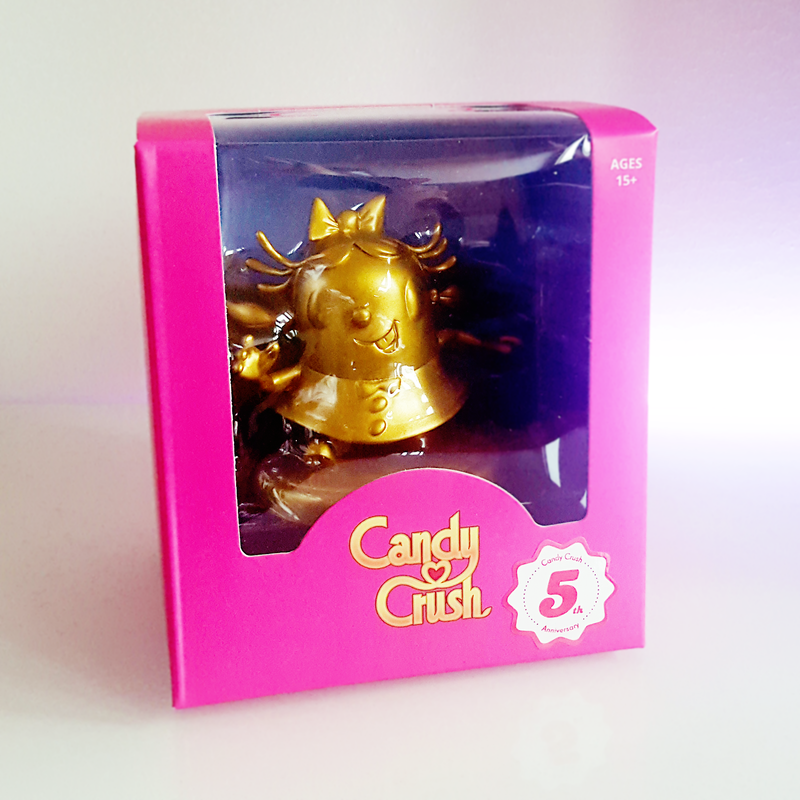 I recived this beautiful plastic goldy statue or toy from King. Probably I will let it stay in the package because it was pink and nice. ©2017 - Veronica Isaksson. All Right Reserved.